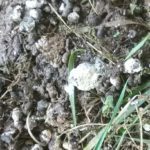 While reviewing his news sources recently, The Farmer saw a reference to a comparison of fertilizers on soil health. In a study that spanned more than a decade, researchers at the University of Wisconsin-Madison used varying levels of manure on one field and varying levels of inorganic fertilizers on another. Yet another plot received no amendments, acting as the control. *Long-term annual application of manure maintained the soil pH but inorganic fertilizer decreased it. 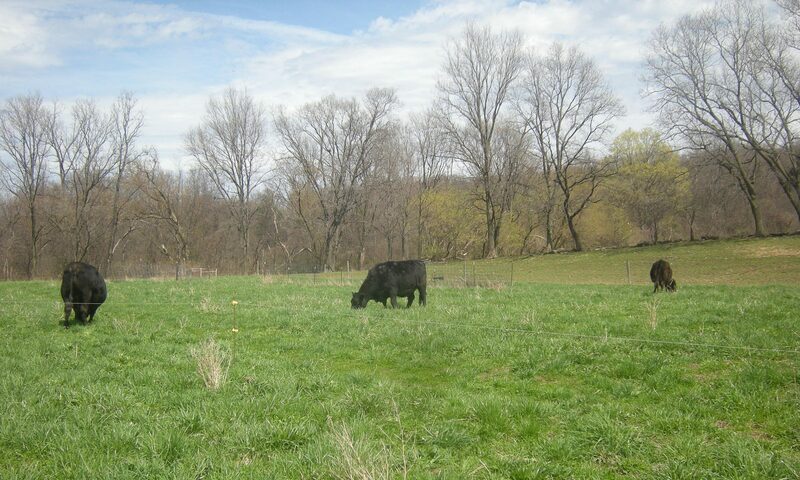 *Manure application increased soil organic carbon (SOC) and total nitrogen (TN). *Higher manure rate helps in improving the water stable aggregates compared to inorganic fertilizer at 0- to 10-cm depth. There was also a warning that higher electrical conductivity readings in the manure-fertilized fields could indicate salt levels being too high. But since The Farmer is not a member of the ASA, he cannot get the report details to read the specifics. As someone whose farm includes animals, and whose animals provide much of the fertility for garden, this is a heartening study. 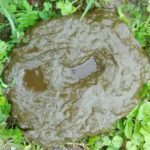 This post’s bottom line: using what comes out of your animal’s bottom will help your farm’s bottom line…or, the power of poo keeps your soil from bottoming out. The meaty shank soup bone has long been one of my favorite cuts of meat. It is a thick piece of beef with a marrow bone in the middle. It can be boiled to make a delicious broth for soup. It can be sauteed and then simmered with veggies to make Osso Buco. The flavor comes from the marrow fat in the middle of the bone. Here are the recipes for Beef Barley Broth and my rendition of Osso Buco. 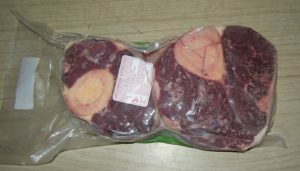 Each package of meaty shank soup bones are 2.50-3.00 lb. each. The cost is around $25. This is a simple broth, simple to make, simple to eat. It is more broth than stuff. It is good with a hearty bread. Add the veggies and barley. Bring to a boil. Reduce heat; cover and simmer about 1 hour or until vegetables and barley are tender. Typically, I put everything in the pot about 2 hours before we are going to eat. Then about 15 min. before we are going to eat, I remove the bones, take off and dice the meat and marrow, and return them to the broth. Both ways work. The meaty shank soup bone is browned, then veggies are sauteed, and all of it is simmered for several hours. Yummy-licious! Brown meaty shank soup bones in oil for 3-4 minutes on each side in dutch oven. Remove from pot. Saute the fresh veggies. Add oil if needed. Put the meat back in the pot under the veggies. You do this by pushing the veggies to the side and putting the meat down, then covering the meat with the veggies. Cover with diced tomatoes. Add broth. Cover pot. Bring to a boil, turn to low, and simmer for 2-3 hours. Take meat out, cut into fine pieces or shred. Cut marrow into small pieces. Add back to pot and stir it all together. Serve as is or over rice or potatoes. This is based on a kitchn.com recipe and comment on someone else's website. Neither had good proportions. They were -ish recipes. So feel free to -ish with what you have on hand. We continue our 2018 Local Food Challenge in October and November with Beef/Wild Game and Squash/Pumpkin. What do you like to make with beef or with squash? Comment below or email and let me know.